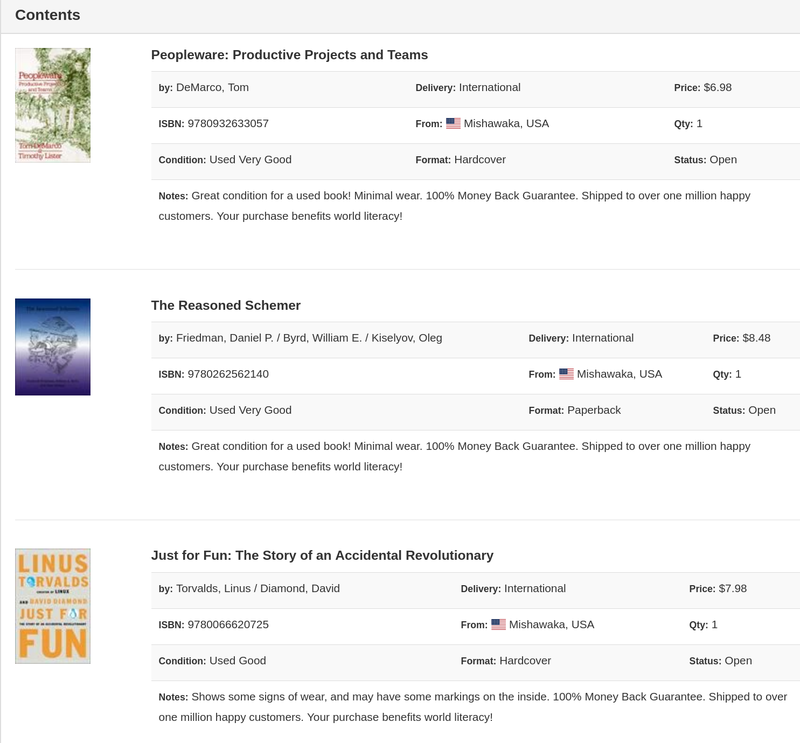 I just discovered this online book shop BetterWorldBooks. 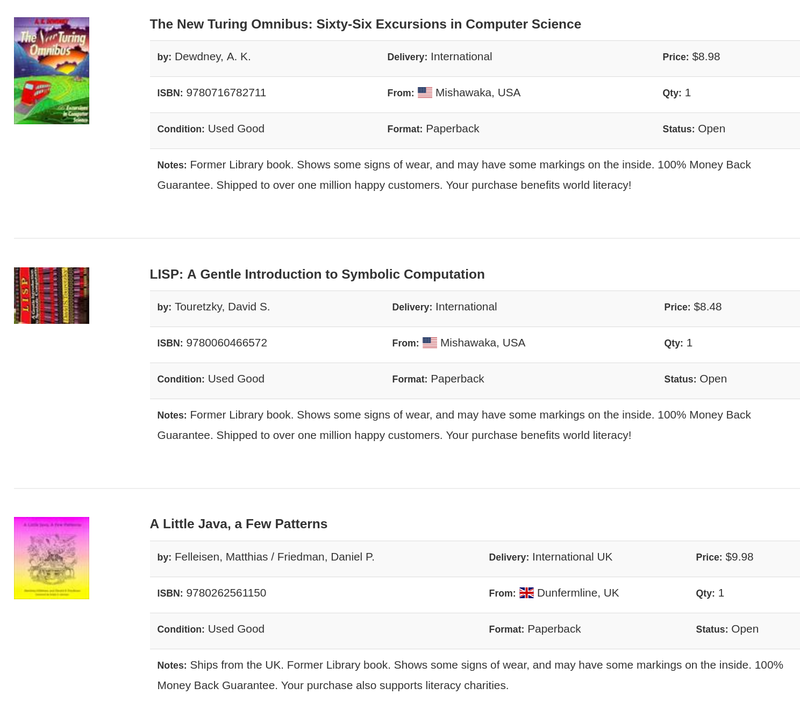 They have a pretty good computer books selection, and some of them are dirt cheap. So I made two orders today.